continuing educational needs of the physical therapist as a general practitioner. Each case presents a clinical situation that requires the reader to develop a response to questions presented; correct responses are given. Brimer PhD PT, Mark A.; Moran ScD PT, Michael L.
4. Clinical Cases in Physical Therapy Brimer PhD PT, Mark A. and Moran ScD PT, Michael L.
5. 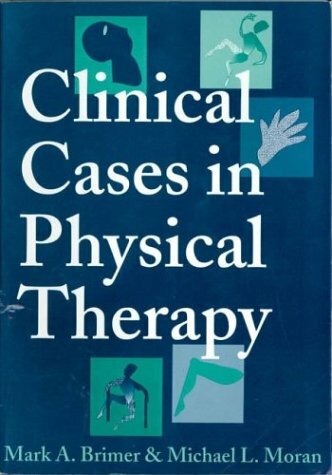 Clinical Cases in Physical Therapy Brimer PhD PT, Mark A. and Moran ScD PT, Michael L.